Jessica Parker is the Director of Community & Learning at Maker Education Initiative. With 10+ years teaching in higher education and secondary classrooms, Jessica has a passion for making and the Maker Movement, expertise in the field of digital media and learning, and extensive experience in supporting professional learning networks. 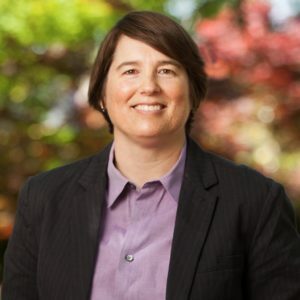 She co-founded the Maker Certificate Program at Sonoma State University, where she was previously an Associate Professor in the department of Curriculum Studies and Secondary Education. She is the author of Teaching Tech-Savvy Kids: Bringing Digital Media into the Classroom. Jessica completed her undergraduate and graduate work at the University of California, Berkeley; she has a B.A. in Mass Communication and a M.A. and a Ph.D. in Education. With two children under the age of six, she is currently inspired by Legos, treasure hunts, and the card game, Crazy Eights.